Thinking about starting your own trucking company? You can do it with just one truck! The trucking industry is the lifeblood of the U.S. economy. Without trucks, America stops! Did you know that almost 90% of all trucking companies are small fleets of six trucks or less? Here are some thoughts, steps, requirements, etc. What kind of company (structure) is best for me? Each type has different pros and cons, and that varies with each state. You might want to meet with an accountant, to figure out what's best for your business. If you don’t already have a US DOT number, you will need to register to get a NEW US DOT number when you apply for your trucking/operating authority. Remember, the old MCS-150 form is only for updating existing US DOT numbers and not for getting a new US DOT number. To get a new US DOT number you will need to use the new Unified Registration System. It will likely take 3-4 weeks to finish processing. The URS is a registration system for Motor Carriers, Brokers and Freight Forwarders. New applicants must now use the URS platform to register with the FMCSA. The URS system requires ALL companies involved with Interstate Commerce to show proof of Process Agent Designation (BOC3) and proof of Liability Insurance (BMC91). FMCSA requires that all companies involved in Interstate Commerce have an agent in each state that they operate in, or hold contracts in, that will accept legal documents on their behalf. A Designation of Process Agents is a list of the agent(s) in each state that will accept legal papers on your behalf. If you happen to get served in a state outside of your base state, it is the Process Agent’s job to accept and forward these documents to you in a timely manner. The FMCSA has a list of process agents to choose from here. 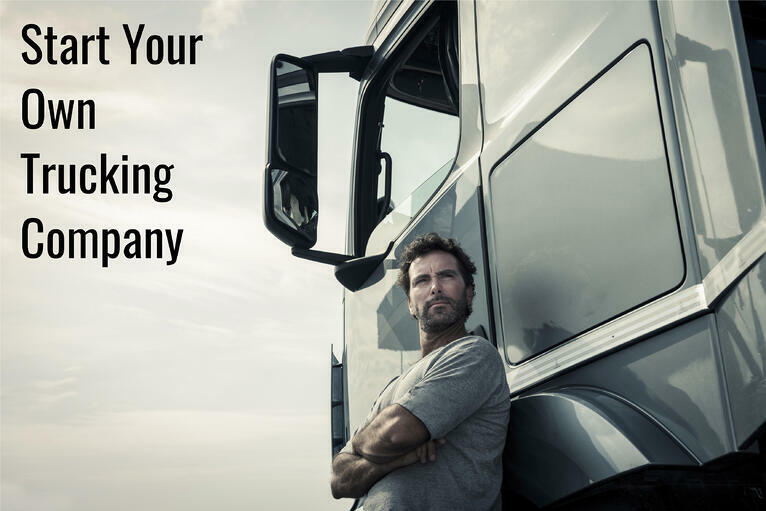 Once you’ve established your trucking company you will need to make sure that it’s properly insured. Liability insurance is required for trucking companies to cover potential damages or injuries caused by operating a commercial vehicle. All companies need to have an MCS90 endorsement from their insurance provider and request the appropriate filing. Shop around and get several quotes before making a decision on which insurance provider is best for your trucking company. Here is a detailed overview of the FMCSA insurance requirements to help get you started. UCR stands for Unified Carrier Registration program. It is a federally-mandated system for registering operators of commercial vehicles who are involved in interstate and international travel. This annual registration must be renewed by December 31 each year. Click on this link to learn more https://www.ucr.gov/. If you plan to operate a motor vehicle or combination weighing over 26,000 pounds, or having 3 or more axles on the power unit, you need to become familiar with IRP & IFTA requirements. If you plan to operate a vehicle(s) at registered gross weights equal to or greater than 55,000 pounds, you need to become familiar with heavy vehicle use tax (HVUT). Before you jump into the deep end of the pool, we’d be happy to offer our advice for FREE. We’ve operated trucking companies in the past and have insights that might be helpful. Dwayne Hood is founder and president of Trucking Partners, LLC, a factoring & billing company. Prior to Trucking Partners, Dwayne owned and managed motor carriers involved in many different sectors of the trucking industry. Dwayne now enjoys working with small trucking companies to help them get started and grow.